21st century digital medicine will be delivered personally with tracked results. The system will be continuously improved by constant outcome assessments that learn the most effective treatments and deliver them. 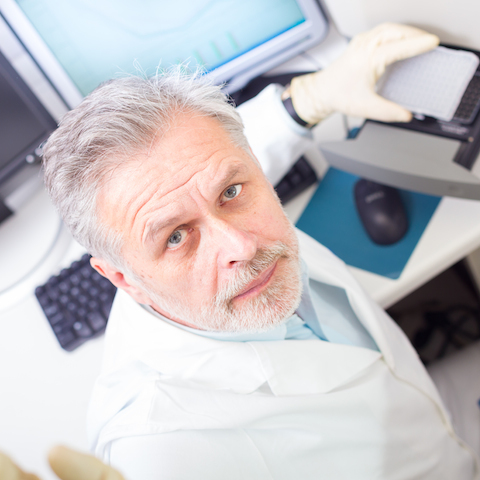 Infectious disease alerts will be triggered by incidence monitoring of patient diagnoses. The system will “know” the disease burdens and effectively treat both patients and those exposed to them. At an infrastructure level its global goal will be to identify infectious disease outbreaks while raising medical outcomes to first world standards at a fraction of the per patient cost. Though delivered to the poor, with its systemic and systematic improvements, this “build once, run everywhere” medical system might one day match first world outcomes at the scale of universal networked delivery of high quality care. Dr. Brian Goldstein closed his eyes tightly and wished it away. When he opened his eyes the report was still there. 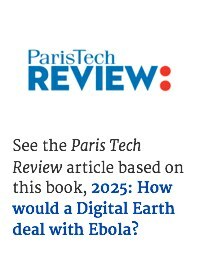 It was 2025, 10 years after an Ebola vaccine defeated the disease. But this contagious killer had returned. Brian was the CHE’s Strategic Director of Crisis Preparation and Management. That meant this unexpected crisis was his. He had a great staff but behind his furrowed brow he was choosing the best person he could think of who might know how to stop this quickly. He turned to the CHE’s First Responder Shared Space and Activated Dr. Richard Chester, one of Harvard’s leading virologists and a specialist in the new Digital Medical Facilities spreading through the less developed countries. Brian was in Atlanta and Richard in Boston, but their images and sound were as clear as if they were in the same room, separated only by a sheet of glass. Brian was dressed in a business suit and sat at his desk. Richard was in a white doctor’s coat, looking into a hand-held tablet. “Give me a minute,” Richard said as soon as he saw that Brian was using the CHE’s First Responder Shared Space. He went to his desk and turned to his wall screen. “Now, in which medical emergency can I help?” Richard said with a smile. “Are you doing anything big right now?” Brian asked. He bit his lip, looking concerned. “What do you think about heading up a new CHE Shared Space on Ebola?” Brian asked. “I thought we stopped Ebola with a vaccine about 10 years ago.” Richard said. Brian blended a map of Liberia into their screen background. It showed the numbers and locations. The disease was already in almost a dozen places. “That goes with the territory. Our medical institutions will want to stop a cheaper and better competitor from being turned into a global medical system. But if we make this work we could give billions of poor people real medical care at a cheap price,” Richard said, already reaching for resources from other Shared Spaces and bringing them into this one. “So what’s your strategy,” asked Nick Flamel. Nick was the President’s National Security Adviser for Healthcare Threats. He was the one who added Dr. Goldstein to the President’s national security briefing the next morning. Richard blended into the background of their Shared Space a picture of an example DMC. As he described each of the four components he added that to the picture until the full local DMIS installation emerged. “The first part of each local DMC is cheap and powerful solar energy. Each DMC will have enough solar power and batteries for all its local and community needs, with some extra electricity it can give away.” In the picture Richard made the house next to the DMC vanish. He replaced the house with a large solar and battery installation. Then the roof of the DMC was instantly covered with solar panels. “Third is high-speed Internet for the DMC’s. This will also connect their mobile phone base stations to the phone network. Half a dozen global companies are building high-speed Internet throughout the developing world to capture those markets. We will choose one of them as our high-speed Internet provider, and give them a medical business model that connects their health services with everyone in all our local communities.” He added a large icon of a lightning bolt in the air above the DMC. “The last component is free, clean water. Enough solar power will be included to purify water so some can be given away for free.” Inside the DMC a utility closet was replaced with a water purification system with sizable tanks. 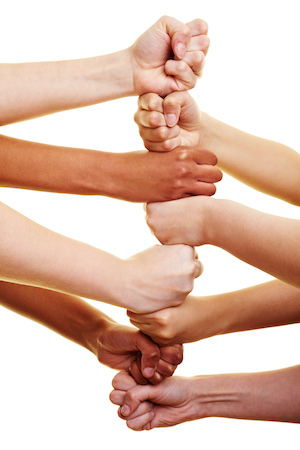 “Now let’s put this together into a community medical platform that controls infectious disease. Health profiles and community medical mapping: To get free phone service, access to the free electricity and water, each family has to receive free health screenings for all family members. This creates a medical profile of each family. Because Ebola spreads by physical touch and families are the closest relationships, it is essential to focus on families and not individuals. Containerized DMC offices to begin immediately: “For an overnight start, fully functioning DMC offices will be built into rugged shipping containers. Each DMC set up includes a microcell mobile base station to start free mobile phone service immediately. These DMC offices will be airlifted into all the locations to start the community protection programs immediately. The full DMC office is built rapidly starting with solar power. The shipping container DMC is stripped with its modules moved into the DMC office as soon as it’s built. One of the overnight treatment rooms in the full DMC office is an Ebola isolation room with 4 to 6 beds. That room is used to isolate all Ebola patients found while they await transport to the central Ebola treatment facility. Health screenings: The DMC offices will start mass health screenings immediately. These will be done by rapidly trained local staff who do them as fieldworkers using simplified tablet-based MAS Devices. The screening will include up to 45 medical tests for each person, and the tablet automatically uploads their test results to each person’s medical profile providing a health status inventory of the entire community immediately. Those who don’t have free phone services: Others can visit the DMC and receive a free profile, baseline medical screening and healthcare apps if they have a phone. Map and inventory endemic diseases: We will immediately inventory all the kinds of infectious diseases endemic throughout the community for immediate treatment. If we’re lucky this finds the Ebola cases and isolates these people before it spreads to others. Regardless, this will map families and kinship for any bio-containment needed in the future. Infectious disease monitoring: During each person’s health screening their free mobile phone service will be turned on. The health app will be installed on their phone and they will be logged in to it. Each family member will be given a disposable wristband with a temperature monitor on it, and the health app will collect and send in each family member’s temperature twice a day. If someone stops running the health app on their phone they receive messages to turn it on or call the DMC if they have an issue. If they don’t comply their phone services can be progressively reduced and then turned off. If someone just has their own mobile phone without free service, they can still wear a health monitoring wristband and run the health app on their phone. Fever triggers immediate action: The trigger is simple. An elevated temperature triggers the health app to notify the Infectious Disease Response System. That pulls the person’s medical profile and uses the phone to connect the person with an AI Doc. The AI Doc runs does a structured interview with its first priority to screen for Ebola. If it might be an Ebola case the patient is asked to come straight to the DMC for an immediate Ebola blood test, or a field worker is sent to the person’s location to bring them in. With rapid on-site Ebola blood tests people will be confirmed or cleared right away. When an Ebola patient is found: If a person has Ebola they will be put in the DMC’s Ebola isolation room immediately. These rooms have 4 to 6 beds. They are used to temporarily hold Ebola patients until they’re safely transported to the central Ebola treatment facility. All Ebola patients will be upgraded to an advanced wearable health monitoring, to track them minute by minute and provide medical alerts for rapid responsive treatment. While in the isolation room they will be able to make sure their mobile phone is fully charged, and connect with family members and friends either in visual Shared Spaces or by phone calls. With free electricity and free mobile phone service, they’ll be able to maintain continuous connections. A safe transportation service will be notified to come and pick them up, to transport them to the central Ebola treatment facility. The family members of each Ebola patient in the central Ebola facility will be able to access an online daily status report using their phone, so they will be able to stay informed. All patients able to communicate will be able to be in Shared Spaces with their family and friends. If it is not Ebola: If it’s not Ebola, the AI Doc requests immediate medical tests with an MAS Device, which can be either at a DMC office or a field location where there is an MAS Device. The AI Doc’s interactive questions determine if this is an infectious disease or not, and develop a treatment plan. As in any DMC, the sick patient is put on an online, interactive DMC treatment protocol immediately. Bio-containing Ebola: When an Ebola case is discovered, the mobile phone base station is accessed for its GPS location tracking logs. This tracking includes phones that do not receive free phone service, but connect to the mobile base station. The phone GPS location records are used to back-track the Ebola patient’s contact history. The people whose phones show they were in contact with the Ebola patient within 24 hours of their temperature starting will be tracked down digitally and bio-contained. All the prior contacts will be immediately put into a continuous Shared Space where they will be informed about the Ebola patient and started on a bio-containment protocol. Within hours they will be all upgraded to an advanced wristband with a temperature monitor and other health metrics. Their phone’s health app will be set for minute-by-minute health and geographic monitoring, with continuous individual tracking by the Infectious Disease Response System. If a prior contact does not have a phone, they will be given a free loaner phone with free service and an advanced health monitoring wristband. If any of these people’s temperature rises, they will be identified within minutes by the Infectious Disease Response System. Then they will be contacted personally in a private Shared Space for an immediate Ebola blood test. The containment goal is to find and isolate the contagious people immediately, before they can spread Ebola. Logging, monitoring and improving: Like any DMC, every step in the process will be tracked, reported and continuously improved. Since DMC’s are platform based, when an improvement is made in the DMIS platform that is immediately delivered to the local DMC’s as part of their services. 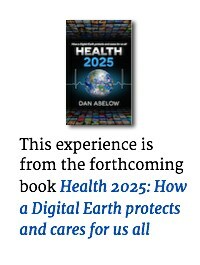 This keeps a Digital Earth’s medical infrastructure at the highest level of healthcare delivery. While explaining, Richard had seen an interesting evolution in Nick Flamel’s attitude. He had started nodding and looking interested. By the time he finished, Richard was sure Nick was a supporter. He was puzzled, because he didn’t know why. Richard’s eyebrows went up but he didn’t say anything. Richard thought about this, too, but kept quiet. 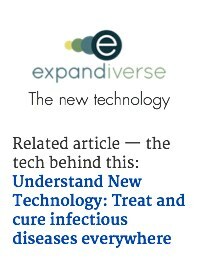 Share the post "Experience 6: Treat and cure infectious diseases at the source: Everywhere"